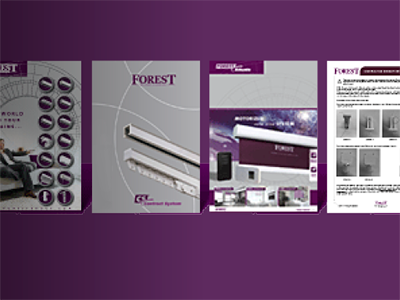 Forest is manufacturer of world-wide distributed Drapery Hardware Systems. In our lifespan of over 30 years we continue to innovate and find solutions for any kind of window decoration, in every situation. Choose from a complete range of over 20 window decoration systems, all durable and elegant, multi-functional and with full support and warranty. See below detailed description and download all kinds of brochures. 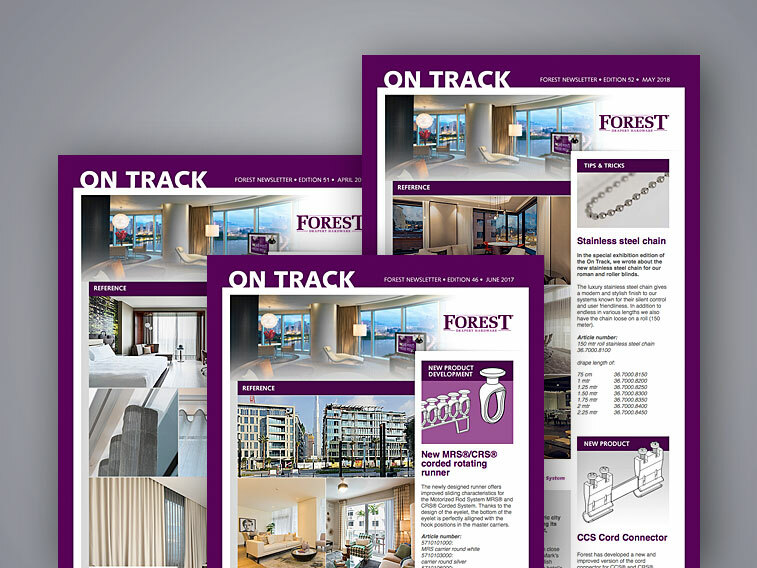 Register for the monthly newsletter if you like to be kept informed on a regular basis about the latest news, trends and product developments. 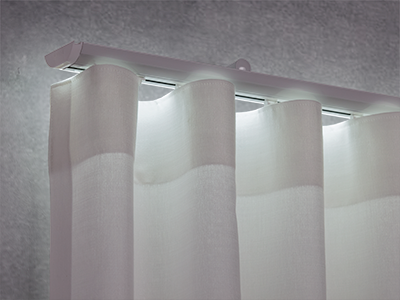 This unique system offers the possibility to illuminate the backside or/and the curtain track itself.